The UAE’s Sheikh Tahnoon Bin Zayed Al Nahyan may be the most influential figure in Jiu-Jitsu whose last name isn’t Gracie. Not much is known about the Jiu-Jitsu story of this BJJ black belt that has been training since the mid-90’s. The competition ADCC World Submission Fighting Championships were the idea and creation of Sheik Tahnoon Bin Zayed Al Nahyan, the sixth son of then U.A.E. leader Sheik Zayed, who at the time was completing his advanced studies in the USA. In 1993 after watching the first U.F.C. Sheik Tahnoon became a big fan of MMA. He was struck by the Brazilian jiu-jitsu craze spreading across the US, inspired by the Gracie family from Brazil – in particular Royce Gracie, who won that UFC . Sheikh Tahnoon started his journey in 1995 as he entered Gracie Barra San Diego and met the then instructor Nelson Monteiro. He introduced himself as “Ben”. 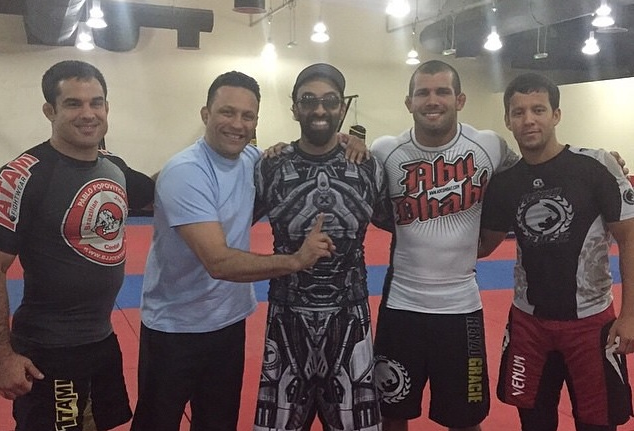 He asked if he could join the class and was immediately registered, bought his Gi, and started attending BJJ classes. The student seemed very eager to learn, always among the first to show up at training and among the last to leave. Rumor has it that he would often offer to help in cleaning the mat before training sessions (a ritual left to BJJ white belts or beginners who usually shunned the task). Coming in most martial art classes, a novice or a white belt was given little if any attention. It was during the winter, after months of training and getting to know his new professor, that this humble, polite and noble gentleman student revealed to his professor his real identity: no one other than His Highness Sheikh Tahnoon Bin Zayed Al Nahayan. Sheikh Tahnoon returned to Abu Dhabi in 1998 as a skilled Jiu-Jitsu practitioner and set out to create and build his vision of implementing Martial Arts not only in his native U.A.E. but also creating a standard for which all ground fighting martial arts would be measured. He eventually received his black belt from Renzo Gracie, sometime in the early 2000’s. He asked Nelson Monteiro to help run it, and they developed a plan to host an event that would promote the sport on a global scale and promote Abu Dhabi as the capital of jiu-jitsu. Sheikh Tahnoon then created a new competition and a set of neutral rules that would allow practitioners of various grappling arts to compete without strikes, to prove to themselves and others that their style was the most effective “grappling” style available. Thus was born the ADCC. The ADCC grew in popularity and is now considered the world championship of No Gi grappling arts. 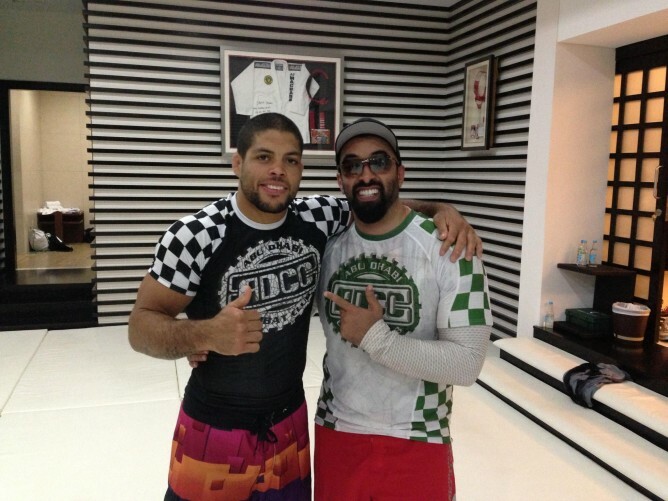 Sheikh Tahnoon regularly trains with all the top Jiu-Jitsu champions. He has them flown in for private sessions in his dojo. His Jiu-Jitsu is said to be of an elite level, especially since he’s been training for close to 20 years now. Sheikh Tahnoon is interested in the UFC and also bought a stake in UFC in January 2010. Sheikh Tahnoon’s older brother, Sheikh Mohammed bin Zayed, Crown Prince of Abu Dhabi and Deputy Supreme Commander of the Armed Forces, is also instrumental in the growth of Jiu-Jitsu on a local and worldwide level. He developed the plan of of having Jiu-Jitsu taught at UAE schools. A long-time advocate of the sport, Sheikh Mohammed has said more martial arts training centres are needed across the Emirates to provide facilities for those who practise Jiu-Jitsu. Sheikh Mohammed also issued instructions to sponsor distinguished Jiu-Jitsu players and urged the private and public sectors to support them so that they can excel and represent the country in championships. The directives include the sponsorship of talented players at schools and universities so that they can continue studying besides participating in the sport.